of huge ghettos, which brought destructive rioting in 1967 that damaged the city’s image, not to mention the lives of the residents. That aspect of Detroit has been smoothed over with a resurgent cultural scene, including a billion dollar downtown development effort, plenty of festivals and clubs to check out downtown, and a great art museum. It’s sometimes said that times of strife create great art, and Detroit is a great example, having incubated Motown music and today being a center of modern rock and techno. Detroit is definitely up and coming, although I'm not sure how fast. It's an interesting place to explore, since there is nightlife but also much abandonment. This is my hometown. The downtown area is perfect for nightlife. Go to the Riverwalk and just sit by the water. The rest of the city has really good food. History... There's a lot. Walking the streets of Detroit I saw this train which looked more like a tram with only two cars, people were friendly as we walked around, I liked the lively and music in atmosphere!! This city is doing its best to make a comeback and it's an admirable effort. Plenty of hip places to eat, drink and play downtown. A value city to explore during this transition period. Yesterday friday night ,we arrived in Detroit, we spend the Saturday morning visiting the G M automotive design center building (designed in 1953 by Eero Saarinen furnished with original Knoll furnitures), where of my friend Vivien is working, where any pictures are allowed, Top secret place! The afternoon ,we visited the famous Fisher Building's, where my friend asked the doorman to allow us to go to upstairs to take a pictures and fews time after, this great guys give to him 2 free tickets for the baseball match Detroit Tigers VS Minnesota Twins of tonight! We really enjoy the American show! A Sunday morning walking at Grosse Pointe Farm Marina Lake Saint Clair with Indian summer weather....♡. What a fascinating city. If you want to see some of the 'real' America (as opposed to the sanitised theme parks, or the unrepresentative New York City or Las Vegas), go to Detroit. Warning though - the city is not a place for the average family tourist. You need to plan in advance. But if you put the work in, you'll find a vibrant and fascinating place full of history. For those who find politics and urban decay interesting - and for artists, photographers and trendsters - Detroit is a must-visit. The rise and fall of the industrial capital of America is fascinating, and there is some true beauty to be found among the decay. The art and music scene (live or electronic) is superb. You should also take time to make trips up to the suburbs - a trip up Woodward Avenue will sort that: stop off in Ferndale, the Detroit Zoo, Royal Oak and Birmingham. You should also head east from downtown, along the river, and visit Grosse Pointe. 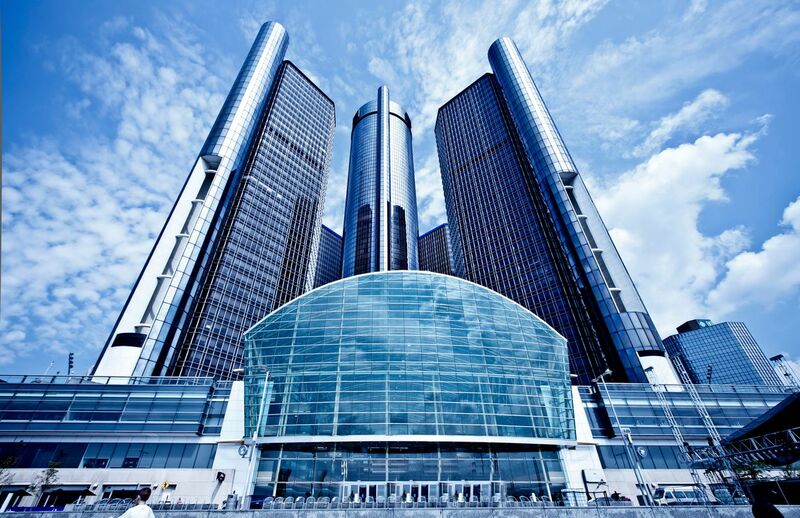 Detroit is a large city that has many historic site and museums to visit. Disability access is limited to the activities you choose. Disability parking is various within the different sites you visit. You will need at least 3 days to visit the area. Detroit has seen better days. Downtown is a mix of burnt out war zone and fantastic new development. The new Tiger stadium is nice, there's a good opera house, and the waterfront is decent. The airport outside of town makes for a nice layover.